Are your frustrated by your dog’s chasing behavior? Does your dog run after cats / other animals and is this stressful for you? You are not alone and we understand how important it is to have peace in mind with your dog. Recently, we trained Shelly to be more calm around cats. 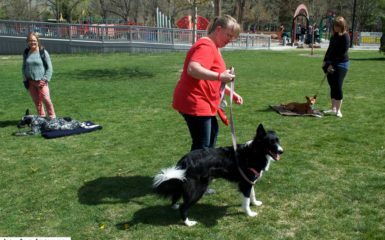 Her owner Stacey Cole, is a Salt Lake City dog training client of ours. Stacey called us and was feeling extremely stressed. Her partner and her received a new dog, Shelly, and they loved her. Shelly didn’t know any basic obedience commands and was cornering their cat. Their cat was older and was stressed from being constantly cornered by Shelly. Stacey wasn’t sure if they were going to be able to keep Shelly. They wanted help so that Shelly could stay in her new home. Obedience was a must here. By the time we came to their home and Shelly was leaving the cat alone more and more. However, the owners still wanted Shelly to listen to ensure that they would be able to call her off the cat. We did about 2 weeks of training. In regards to the cat, Shelly learned many commands that were helpful which included leave it, target, come, sit and stay. 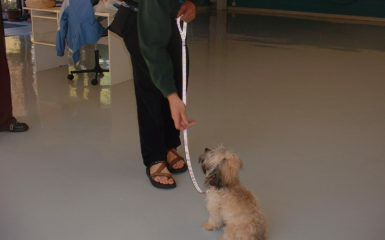 Watch the video to see Shelly listen through consistent dog training. Salt Lake City is now Shelly’s new home. 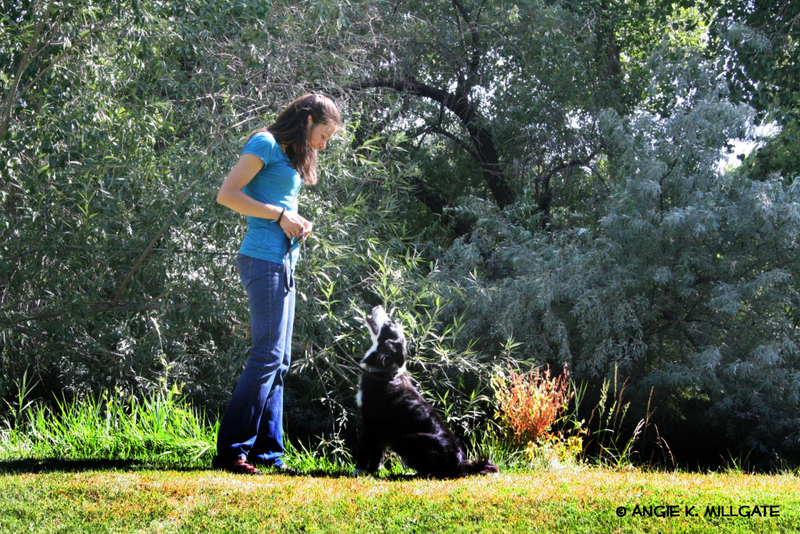 Obedience is so important in a multi-animal home. Leave it is a great way to get your dog to turn away from a cat. Target is getting your dog to touch his muzzle to your hand which can also be used to get your dog to turn away from a cat. Of course we all know about come. Once you use one the above commands to get your dog off the cat, ask your dog to sit and stay. At first, Shelly learned all of these commands away from the cat. Then she generalized them over to the cat quickly. The owners now feel comfortable that Shelly will listen. Their cat and Shelly live in peace. The owners are happy that Shelly listens. You can do this too. 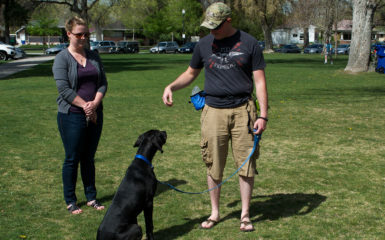 There are many Salt Lake City dog trainers to choose. We highly recommend that you choose reward-based training. 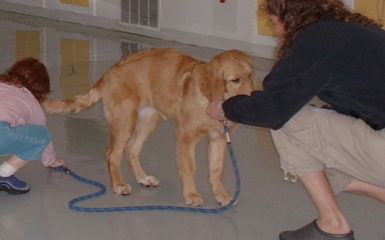 Also Four Legged Scholars dog training, Salt Lake City offers group obedience training classes.